Leading beauty brand Too Faced is collaborating with a makeup artist and social media beauty vlogger Jackie Aina, to expand the colour range of the Born This Way Foundation line, consisting of makeup foundation. The Born This Way Foundation line consists of twenty four shades: from lightest with neutral undertones to Cocoa, deepest with neutral undertones, the latest collection will include deeper and darker shades. 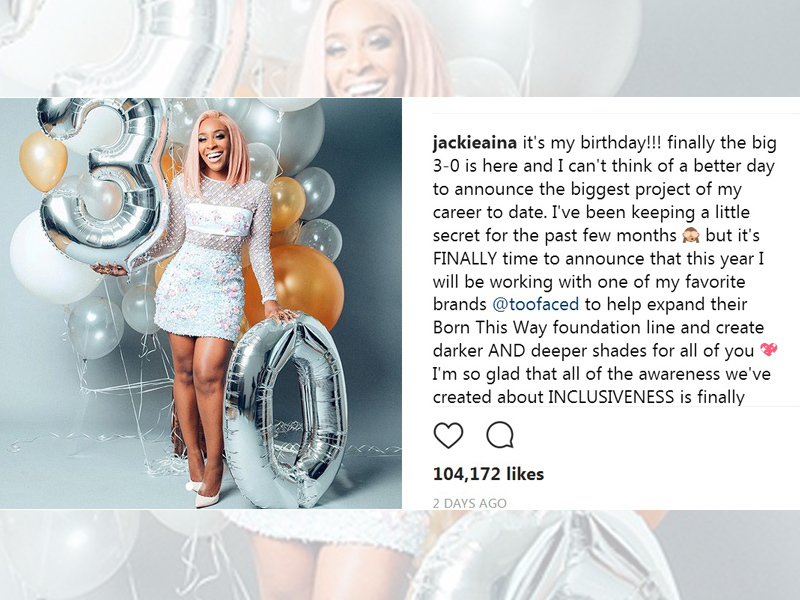 Jackie Aina took to Instagram to make the announcement on her 30th birthday by posting a picture. There is no news on when the collection will be available.